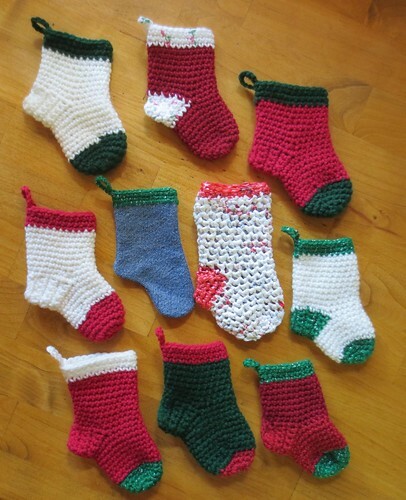 I’ve been busy crocheting more mini Christmas socks for the Warmth for Warrior stocking drive. I have been involved in the campaign to make little Christmas stockings for the troops which are filled with small items for our troops for several years now. As you can see below, I have crocheted these mainly using yarn but in the center you will see that I have a recycled denim and plastic bag “plarn” socks too. 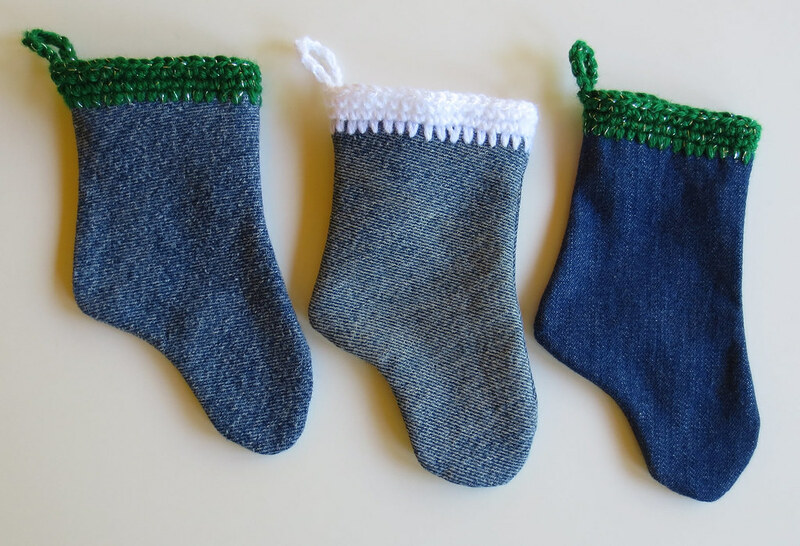 It’s fun to mix and match the yarns and materials to make the stockings each year.